Vaporesso, when will it end? When will you finally stumble and make a device that I absolutely abhor? When will you make a device that will make me curse the Vaporesso name and brand, that will make me take down all the Vaporesso posters and mini-shrine that I have built to you and your greatness? When, Vaporesso, when?! 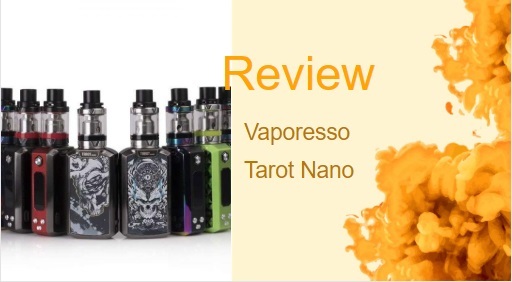 I just finished giving the Vaporesso Revenger Mini a perfect rating, which I only ever did once before, for yet another Vaporesso device, the Tarot Nano. And now here comes the Vaporesso Transformer, a powerful box mod device at with a 220W power output, the NRG SE tank included in the kit, and a removable outer casing that the mod its eponymous title. I think at this point in my vape reviewing career I’m going to have to poo-poo on Vaporesso just for being too perfect, like a Victoria’s Secret model or the Sistine Chapel, or the Godfather movies (yes, even the third one). Vaporesso looks like they are succumbing a little to the pressure to differentiate their mods on the outside since they have pretty much mastered the internals part of making a great mod. I gave great marks to the Revenger Mini for a feature that I would normally detest on another device from another company. But Vaporesso seems to have outdone every other vape company even in this small facet of box mod creation – the art of LED light inclusion in their devices, which the Transformer also includes on its back panel. The word “masculine” is written all over the promotional material for the Vaporesso Transformer kit, and its body did make me think of one thing. While looking at the front part of the Transformer, I did envision the poses that body-builders strike during the Mr. Universe competitions. The Transformer looks like it has its hands clasped together in front of it, pushing out its pectoral muscles, all oiled up and glistening under the hot lights. Okay, so the Transformer doesn’t take it that far, that was just my imagination running away with me, but it does seem like it’s bulging out its muscles as much as possible. The Transformer reminded me a lot of the Sinuous FJ200 or the Predator (another device named after a popular 1980s cultural character) since all three mods have those two side panels that resemble flexed arms. Those two guns, however, are where the dual 18650 batteries are housed. Adding, even more, masculinity to the design interface of the Transformer is the leather grips that also flank the device, and come included with any one of the four different (sold separately) metal casing that you can swap out. The Transformer, however, has a more beefy exterior thanks to its prominent, metallic firing button at the top of the front panel. The removable jacket is also made entirely of metal. The standard, for Vaporesso anyway, 0.96 OLED screen sits underneath the firing button, and the mode selector and wattage buttons sit underneath the screen; so the setup is similar to a lot of Vaporesso’s most popular devices. Now, I tried my darndest to not mention anything about the actual Transformers in this review (too easy), but imagine my surprise when I flip over the Transformer, and I see a Transformer symbol. If I remember my childhood correctly, I don’t think the symbol is either the Autobot or Decepticon Insignia, but a mash-up of the two. I do know that there is a special edition, LED edition of the Transformer that does feature the unmistakable visage of one Optimus Prime, on its back panel, which lights up. But just like the Revenger Mini, the LED lights do not distract from the device. The LED layout and design are all well-integrated into the device. At the top of the Transformer, you’ll find ample space to attach even a 30mm tank onto the 510 connector. The 510 connector pin is given sufficient berth by being squarely in the center of the Transformer’s almost 30mm thickness. At the very bottom of the device is where you will find the base loading battery door that also acts as the clasp you unhook to remove the metal chassis. The Transformer being Vaporesso’s latest device, it also features an updated version of their premier chipset the Omni 2.6 board. The Omni 2.6 brings along all the amazing features that Vaporesso includes in the majority of their devices like the Smart coil recognition function, and the vape de la vape, custom curve temperature, and wattage control. The menu layout is, of course, intuitively simple and easy to navigate, thanks in part to the interface that works much like any modern cell phone or smartphone, with the up/down wattage buttons, and the all-important mode selector button. But, one innovation brought to you by the Omni 2.6 board are the virtual key set that lets you navigate the internal menu so that you can relieve your overworked selector buttons. The virtual keys might not seem like the most mind-boggling advance in vaping technology, but it still makes the Transformer a delight to use. Having used the NRG SE tank with at least two other Vaporesso devices, I am already familiar with its cloud-making potential. The coils included in the kit, the G8 and G4 are also suited more to awesome cloud production although they can’t necessarily handle the 220W power output of the Transformer. Funnily enough, I usually make a big deal about the Omni board enabling you a greater amount of control and customizability to your vaping experience than almost any other comparable brand of a chipset. But, with the last two Vaporesso devices I’ve used, the Transformer and the Revenger Mini, I just let the Smart coil recognition function take over and went wherever it told me to go. I know I should maybe be switching out the stock coils and tanks that come with the Vaporesso mods, but I’m happy with the pairing of the coils, mod, and atomizer; they deliver on all aspects of vaping: great clouds and excellent flavor. I took the lazy route and just used the GT8 coil, which was not terrible decision considering that even at the maximum recommended wattage of 110W, I got more than enough cloud with a noticeable and appreciated aftertaste. Making a comparison between a Vaporesso product and any other device is always difficult. Vaporesso just soars above the competition, and while some competitors might come close to beating them, the little details (that Vaporesso also pays attention too) always assures a Vaporesso victory. For this particular contest, I decided to match up the Transformer with another high-powered device, the SMOK H-PRIV 220W box mod with its TFV4 sub-ohm coil and the Micro sub-ohm tank. Right away, I could tell where this was going. The SMOK didn’t have any aesthetic appeal, whatsoever; dare I say it was too “boxy” for a box mod? I dare. There were too many straight lines and too much uncreativity. The top OLED screen on the H-PRIV proved yet another problem, given the difficulty in reading it thanks to its position right next to the 510 connector. I think there were also fogging problems. These missteps don’t happen on a Vaporesso device. Every detail – from the screen position to the button placement – is carefully thought through and decided on, based on what makes for a more natural and more comfortable vaping experience. I’ll spoil the surprise right now, and tell you that this feature will also be a con. I remember liking the interchangeable panels on the Voopoo TOO, even though they didn’t add to the overall vaping experience; the same thing here. The covers were cool, but they didn’t vape my world either. I’d love anything the Omni chipset can do, and if this time it can offer me virtual keys selections then I’m happy with that. Another pro brought to us from the Omni chipset; the charging time goes a little further than other 2A devices, by maxing out at 2.5A to charge the two batteries inside the device. This is more of a complaint, rather than a real con. I’m just happy to find something that I didn’t like about a Vaporesso device. The removable covers were great, but I wish that they would have at least included one in the kit. Yes, I know I sound a little greedy. But it’s not so out of the question, is it? There are two coils options; the fact that you have to buy a cover separately just looks like a cash grab to me on Vaporesso’s part. I’m just waiting for the day when I find something I don’t like about a Vaporesso device. Even though the Transformer tie-in was a little hammy and expected (I guess it was bound to happen), I’m just glad that it was Vaporesso that took that gamble and not a lesser vape company. What is there left to say that I haven’t mentioned about every other Vaporesso device? It performs beautifully; its functionality is first-class, the design was incredibly attractive, and the vapor it created was voluminous and excellent tasting. You did it again, Vaporesso, you beautiful bastards. I give the Vaporesso Transformer a 9/10.